KLX Inc (KLXI) is familiar to many special situation oriented investors, it was a December 2014 spinoff of BE Aerospace (BEAV), BEAV has since been acquired by Rockwell Collins (COL) in April 2017. KLXI combined two unrelated businesses, Aerospace Solutions Group ("ASG") which is a distribution business to the aerospace industry and Energy Solutions Group ("ESG") which is an onshore oil and gas services business. 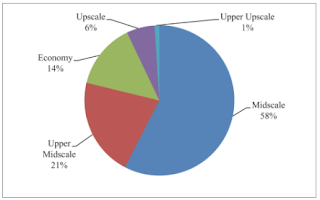 Both segments were rollups designed with the underlying theme of providing mission critical products/services that were relatively low cost in the context of the overall project, but for which the cost of failure is high enabling higher margins for KLXI. Fast forward to today, Boeing (BA) is purchasing the ASG business for $63 per share in cash. KLXI originally wanted to sell both the ASG business and ESG business to separate parties but couldn't come to agreement with any buyers for ESG. As an alternative, KLXI is going to spin off ESG as KLX Energy Services (KLXE) simulatenously with the closing of the ASG deal with Boeing (guided to a Q3 close). I have zero expertise in energy related businesses, most of the time I've dipped my toe into the sector I've gotten my face ripped off, but this deal reminds me quite a bit of LaQuinta/CorePoint (LQ/CPLG) that I've decided to give it another try in hopes to expand my circle of competence marginally. How is it similar? First, the deal will be taxable to KLXI shareholders, thus removing the tax-free two year safe harbor on a business that management clearly wanted to sell in the first place. Second, the management team is moving to the spinoff and in this case, foregoing cash compensation to take stock in the spin which will likely trade poorly initially due to typical spinoff dynamics when management knows that they'll be looking for a buyer. A little more on KLXE, the form 10 can be found here, it was formed as a rollup of 7 regional players, all the deals were done in the 2013-2014 timeframe before oil prices collasped for a combined price tag of ~$700MM. The business did $100MM EBITDA in 2014 before the bottom fell out completely, with oil prices rebounding the past year, they're guiding to $110MM for 2018 which is significantly more than the $27MM in EBITDA in 2017. During the sale process, they received bids for the ESG business in the range of $250MM to $400MM, the leading bid was a SPAC, so mostly financial buyers were interested. The proxy pointed to the poor trailing twelve months results and a lack of credit available to finance energy deals as reasons for the disappointing bids for ESG. The management team is interesting here as well, Amin Koury is 78 years old, lives in Florida (no major onshore energy basins there as far as I know), he's getting cashed out of ASG and was already cashed out of BEAV, his son runs his family office and isn't involved in the energy business, this is the last and smallest piece of his empire, all signs seem to point to KLXE not being a public company for long. KLXI trades for $72.75 today, backing out Boeing's $63 cash offer and KLXE's implied market cap is ~$500MM, it will have no debt and KLXI is gifting KLXE $50MM in cash immediately prior to the spinoff. So the implied EV is about ~$450MM, using the $110MM EBITDA estimate, and we come up with a 4.1x EV/EBITDA multiple, certainly cheap for any viable business. Most oil services businesses trade a lot higher, I don't know of a perfect comp, but a similar setup to look to could be Dover's recent spinoff of Apergy (APY) which has done well since the spin. Of course the problem with these types of ideas, they're hard to size up, even if we assume KLXE is worth 8x EBITDA, then the pre-spin KLXI is worth $81 or about 11% higher than today's trading price, not a home run, but I think it's an interesting short term idea that gives you a toehold position in KLXE at a cheap price. After the deal closes you can decide to sell or add to the stub, that's my plan at least. As far as I can tell, the taxable piece is fairly straight forward at this point, similar to LQ you'll receive cash and shares in the spinoff, the taxable amount will be $63 + KLXE's share price on day one over your original basis. At the corporate level, KLXE has a tax basis of $600MM, if the day one value of KLXE is above this amount, then KLXE will be on the hook for any taxes. KLXE will have a tax shield of approximately $32MM per year due to amortization of intangible assets, if you want to get cute on the valuation you could put an NPV on the tax attributes and KLXE would look even cheaper. Cash at KLXE will also likely be higher than $50MM, KLXE is entitled to any free cash flow generated from 5/1 to the closing date. 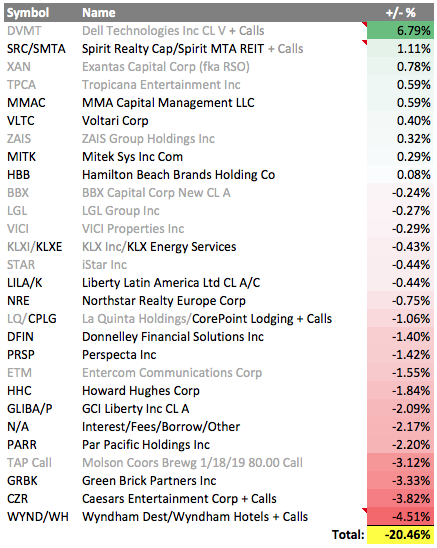 KLXI is not an S&P 500 component, but it is in aerospace indexes and not in energy indexes, so along with dropping down in market cap indexes, it'll be removed from industry ones as well, potentially creating some forced selling from ETFs. I would imagine there are few holders of KLXI that were involved for the energy business. 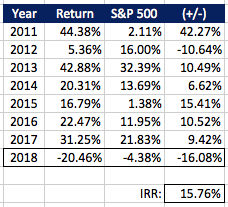 Once again, apologies for being somewhat repetitive, but the Wyndham Hotels & Resorts Form 10-12 came out today and I wanted to update my numbers for a few changes and add some additional thoughts around the spinoff. The biggest change from my post last week is it appears Wyndham Worldwide (WYN) already incorporates the timeshare-to-hotel group royalty fee in their segment results, which mutes some of the multiple arbitrage upside of creating an expense from the lower valuation company into a revenue of the higher valuation company. Removing the double counting of Hotel EBITDA brings down the overall valuation a few dollars. It was also disclosed in the Form 10 that Wyndham Hotels & Resorts will have $1.888B in net debt at the time of the spinoff, essentially all the purchase price of La Quinta's management and franchise business will be placed on the spinoff which makes sense. By incorporating the net debt number, we can infer what the target price of each side will be after the spinoff (using my multiples above) which might be useful as there's often significant volatility around the when issued and spinoff dates. After the closing of La Quinta's management business, Wyndham Hotels & Resorts will have over 9300 hotels in their system, making them the largest franchiser in the world by the number of hotels and #3 in hotel rooms (economy hotels tend to be smaller in size). The typical franchisee is a first time hotelier and single property owner, Wyndham has 5700 franchisees for their 9300 hotels, this is a small business in a box type service. This is likely good and bad, good in that they're not exposed to any one large franchisee and bad in that the net worth of their franchisees is likely minimal outside of their hotel, leaving them more susceptible to distress. Their value proposition is the single property owner can work with Wyndham and receive the marketing, reservation and technology system of an upscale hotel but for the economy and midscale segments. Royalty fees are typically 4-5%, plus marketing fees of 2% and another 2% of gross revenues for rooms book through their reservation system. 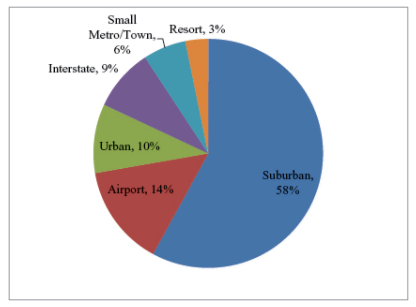 Here's a good place to point out that the economy segment is less pressured by the Online Travel Agencies (OTA's) as the upscale and luxury segments, many of Wyndham's guests are drive-up, meaning they book their room the night of based on which hotels in a particular destination have vacancies. Their two main strategic priorities going forward will be to grow in the midscale segment (to a lesser extent the upscale segment as well) and grow internationally. Growing outside the economy segment helps strengthen Wyndham Rewards, their loyalty program, by keeping more people within the system, they don't want loyal guests being forced out of the Wyndham system because they don't have a mid or upscale hotel in a desired location. International growth is an obvious given, about 70% of U.S. hotels are branded, while only 46% internationally, creating a growth runway for the entire industry. Wyndham could also receive a tailwind from the growing middle class in developing markets, the middle class leisure traveler is the primary target demographic of economy chains. Their recent purchase of La Quinta's management and franchise business hits both the moving upscale and international boxes. Completing a spinoff isn't cheap, one-time costs add up to $330MM here with $280MM on the parent and $50MM on the spinoff.